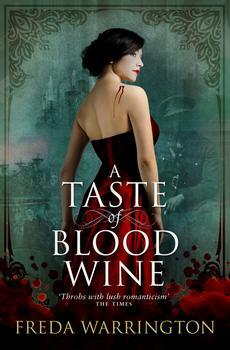 Originally published back in 1992 â€” long before Stephenie Meyer and Charlotte Harris made vampires trendy again â€” the majority of those featured in A Taste of Blood Wine are charming, sophisticated, and to quote the author, â€˜devastatingly gorgeousâ€™; and they all debunk the popular vampire myths about exposure to daylight, stakes through the heart, garlic, crosses, etc. This makes for a promising start in my book, and Iâ€™m pleased to say this delicious tale of love, lust and a passionate affair that stretches beyond the grave, is truly delightful. Step forward Charlotte and Karl, a magnificent pairing, and a timeless couple that deserve a place up there with the very best of genre lovers. Set against the decadent backdrop of 1920s England, a post-WWI society enjoying a hedonistic boom in which champagne parties and illicit substances are all par for the course, we meet the Neville family, and the incredibly charismatic Karl von Wultendorf… Needless to say, Karl is the vampire in question, and despite his best efforts, falls for one of the Neville sisters. I should say that prior to reading this, I never really cared for vampire tales: surely thereâ€™s nowt new to say about handsome Dracu-likes and beautiful preening teen tearaways? And even True Blood seems to have wandered so far off base in later seasons as to be nigh unrecognisable… But thereâ€™s the trick, yâ€™see… Blood Wine isnâ€™t just a gorgeous love story at heart, itâ€™s about social suffocation, about a pair of individuals who are striving to break free from family ties, and itâ€™s about a divided family who through no fault of their own have become embroiled in vampire politics. Moreover, the authorâ€™s clarity of vision and interesting take on vampire myth is both original and dare I say, breathtaking. Among the vampires on Karlâ€™s side, weâ€™re introduced to Kristian, the closest thing to a lord of vampires in the book; one who believes wholeheartedly that vampires will inherit the Earth and are servants of God brought to this world to cleanse it of humans by sending their souls â€” their very essence â€” to the Lord himself for judgement. Karl is but one of his â€˜flockâ€™, but he is the unruly child, if you will, the one who resists all attempts to bring him to heel, and yet still Kristian loves him over and above all the others, eventually resorting to dastardly tactics to try and goad him into submission. Itâ€™s a battle of wills that crosses time and death itself, and makes Kristian a truly frightening and obsessive antagonist. Thereâ€™s so much here to love, not least of which is the concept behind The Crystal Ring, a whole other realm that vampires can use to escape the binds of the human world; also, thereâ€™s theÂ Weisskalt, a mysterious icy cold plane that Kristian uses to great effect to detain those who displease him. Then thereâ€™s the writing, the characters, the depiction of forbidden love, and betrayal, the setting… To be honest, thereâ€™s very little herein that I didnâ€™t love. To say more would be to reveal too much, and I want you to read it for yourself, but I would like to add that the writing is gorgeous, by turns haunting, lucid, and all-round beautiful, and I am hugely grateful to Titan Books for republishing such a great series â€” a series that many, like me, would have probably missed the first time round â€” and for giving them such a great set of new covers as well. 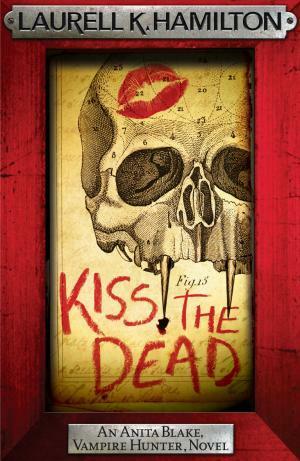 This first instalment is eminently readable, absorbing, and all-round brilliant, a lovely piece of work, and definitely a must-have whether or not youâ€™re a fan of vampires. Itâ€™s a book for fiction-lovers and anyone that claims to appreciate the written word, I think. And I for one am looking forward to reading the rest of the series: A Dance in Blood Velvet, The Dark Blood of Poppies, and The Dark Arts of Blood (the latter an all-new instalment due October next year).